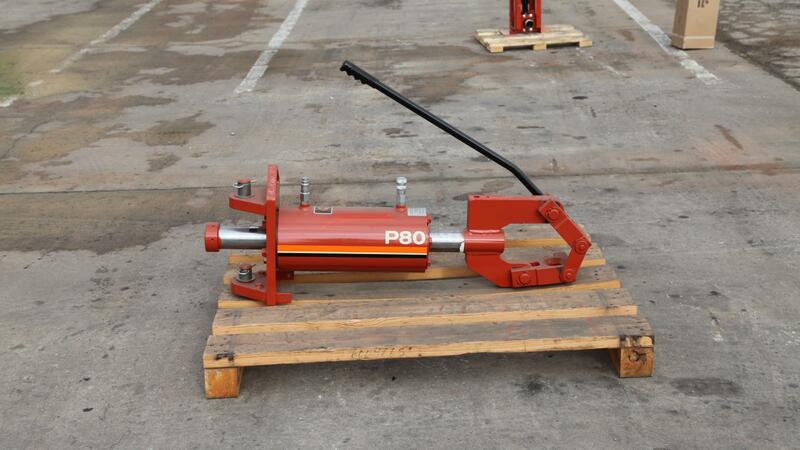 The simple hydraulic hookups, simplicity of operation and simple, unassuming appearance of the P80 rod pusher contrast with its complex physics—a 462-lb (210-kg) unit that can produce 80,000 lb (36800 kg) of thrust/pullback. You don't need to know how it works. You just need to know that it does. Powerful thrust and pullback capability in a compact package. 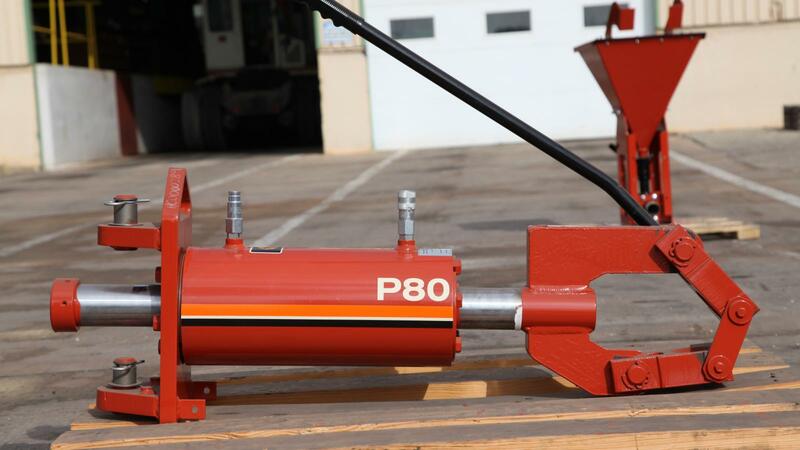 P80 produces 80,000 lb (36,800 kg) thrust/pullback at 2500 psi (172 bar). Rotating rod thrust/pullback cylinder and slant-nose boring head provides accurate directional control. Power source is positioned away from launch pit, separating operator from noise and exhaust. P80 can bore with directional control to 500 feet (152 m) or more. 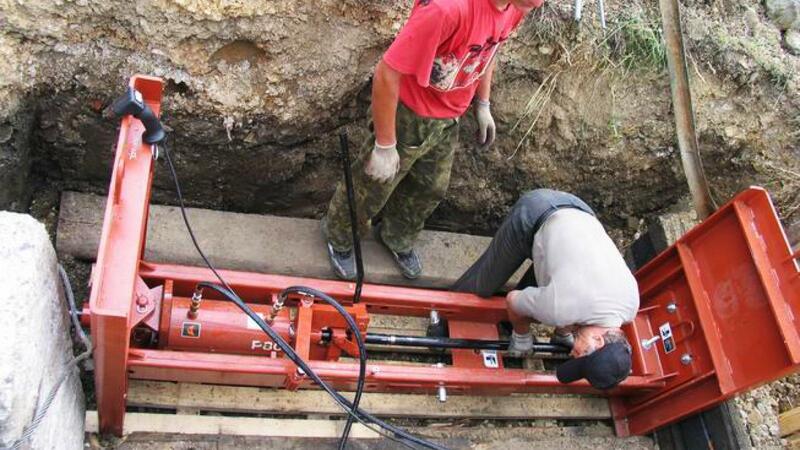 Three setup options: T-Bar for narrow trenches; backbrace for long-range boring in narrow pits; and trench box for maximum anchoring and shoring protection. 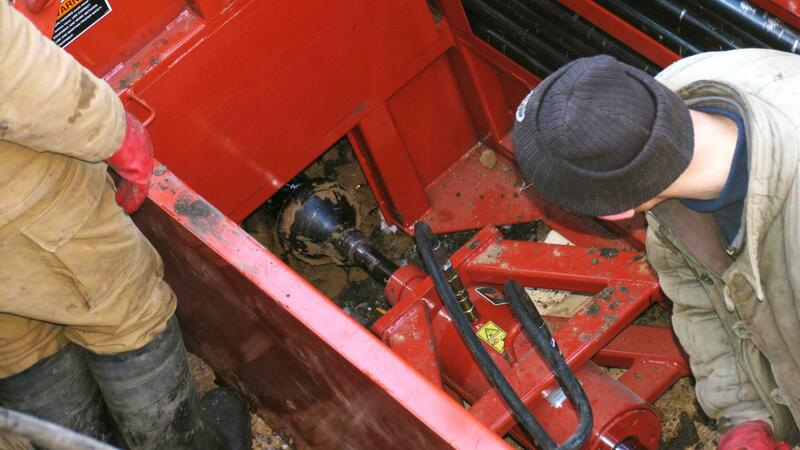 Boring head can be tracked and guided using Ditch Witch electronic beacon and receiver systems. Variety of boring heads available, depending on soil conditions. Specifications are called out according to SAE recommended practices. Specifications are general and subject to change without notice. If exact measurements are required, equipment should be weighed and measured. Due to selected options, delivered equipment may not necessarily match that shown. 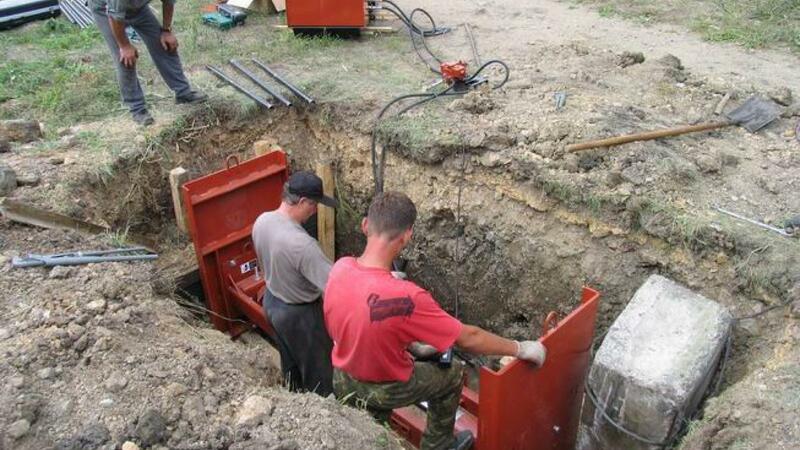 Optional trench box serves as a boring/shoring platform; push rods store on side of box, and the open-bottom design allows box to be lifted up and around completed installation. Optional electrical strike system alerts operator if a live electrical cable is struck.